Substance Abuse Prevention | GUIDE, Inc.
Center for Substance Abuse Prevention (CSAP) – CSAP connects people and resources to innovative ideas and strategies, & encourages efforts to reduce & eliminate alcohol, tobacco, & illicit drug problems. CSAP fosters the development of comprehensive, culturally appropriate prevention policies. Substance Abuse and Mental Health Services Administration (SAMHSA) – SAMHSA works to improve the quality and availability of substance abuse prevention, alcohol and drug addiction treatment, and mental health services. Office of National Drug Control Policy (ONDCP) – Prevention – The principal purpose of ONDCP is to establish policies, priorities and objectives for the Nation’s drug control program. The goals of the program are to reduce illicit drug use, manufacturing, and trafficking; drug-related crime and violence; and drug-related health consequences. National Institute on Drug Abuse (NIDA) – NIDA, a component of the National Institutes of Health (NIH), utilizes research findings to improve prevention and treatment efforts, as well as inform drug abuse and addiction policy. Center on Addiction and Substance Abuse at Columbia University (CASAColumbia) – CASAColumbia provides information about the social and economic costs of alcohol, tobacco, and illegal drugs and their impacts on individuals’ lives. In addition, specific information is available on their website for teen substance abuse and prevention. The Council on Alcohol and Drugs – The Council develops programs & materials based on current research on drug use and its impact on community. Their mission is to build healthy, stable communities by combating substance abuse, and related problems, through prevention education, information and advocacy. Community Anti-Drug Coalitions of America (CADCA) – CADCA’s mission is to create and strengthen the capacity of new and existing coalitions to build safe, healthy and drug-free communities. Their website contains a wealth of information on substance abuse, including educational materials, current campaigns and opportunities for prevention advocacy. National Council on Alcoholism and Drug Dependence, Inc. (NCADD) – NCADD is a voluntary health organization dedicated to fighting alcoholism, drug addiction and the devastating consequences of alcohol and other drugs on individuals, families and communities. 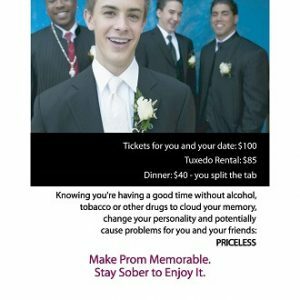 Their website contains educational information about alcohol and other drugs, as well as resources for parents, youth, individuals in recovery and family and friends of addicts. National Families in Action (NFIA) – NFIA provides information for families on drug effects, prevention, updates on latest scientific findings, surveys and other information. National Registry of Evidence-based Programs and Practices (NREPP) – NREPP is a searchable database of substance abuse and mental health interventions. SAMHSA has developed this resource to help people, agencies and organizations implement programs and practices in their communities. Drug Free America Foundation, Inc. (DFAF) – DFAF is a drug prevention and policy organization committed to developing, promoting and sustaining national and international policies and laws that will reduce illegal drug use and drug addiction. Pacific Institute for Research and Evaluation (PIRE) – The mission of PIRE is to promote, undertake, and evaluate activities, studies, and programs that improve individual and public health, welfare, and safety. Their website contains information on a number of drugs, prevention and treatment, as well as policy and enforcement. National Drug Facts Week – National Drug Facts Week is a health observance week for teens that aims to shatter the myths about drugs and drug abuse. Through community-based events and activities on the Web, on TV, and through contests, NIDA is working to encourage teens to get factual answers from scientific experts about drugs and drug abuse. The website contains event and activity ideas, a National Drug IQ Challenge and several tools and resources. Join Together – Join Together is a news aggregation service from the Partnership for Drug-Free Kids that provides daily or breaking news on the top substance abuse and addiction news that impacts your work, life and community. Voices for Prevention – Voices for Prevention is a state-wide substance abuse prevention workgroup that aims to build a unified state-wide voice for substance abuse prevention specialists, service providers, community coalition members and individuals with an interest in and a commitment to substance abuse prevention. Their website provides resources on advocacy, social host ordinances and other substance abuse prevention as well as upcoming events and other updates.